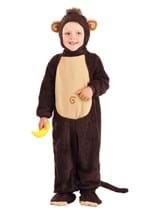 Your child or toddler will love dressing up as their favorite animal or insect this Halloween. Whether they want to be a cuddly lion, a buzzing bee, a dinosaur or even a mermaid; we have a wide selection of costumes to choose from so they can find their favorite. Browse our collection of crawling, flying and creeping creatures for a fun and unique Halloween costume idea.